Product code: 00050 Categories: The Beach, Bangles and Bracelets. The driftwood bangle is handmade from recycled silver, 1.20mm deep and 4mm wide, using traditional techniques. It’s hammered with numerous strokes to represent the patterns on many pieces of driftwood. Bangles are made to order and can be made as small (19-20cm circumference), medium (20-21cm circumference) or large (21-22cm circumference). If you require any other size please contact me, I’m always happy to make something to your requirements. 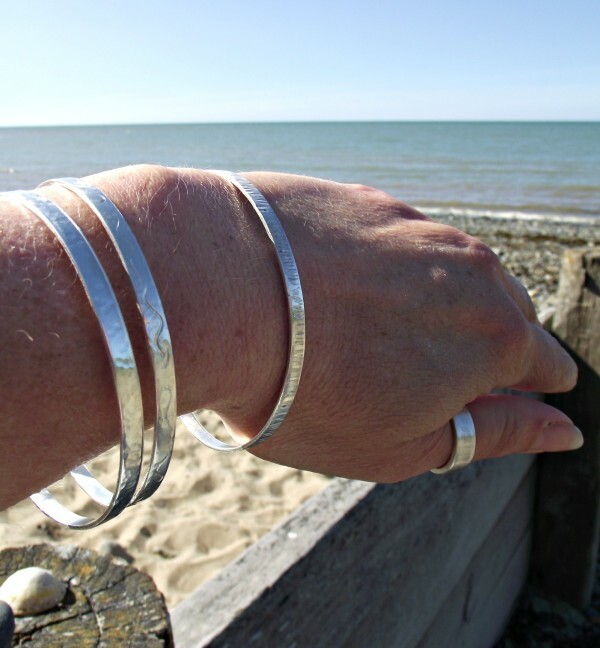 These bangles look lovely on their own or stacked, have a little bit of the beach with you every day. 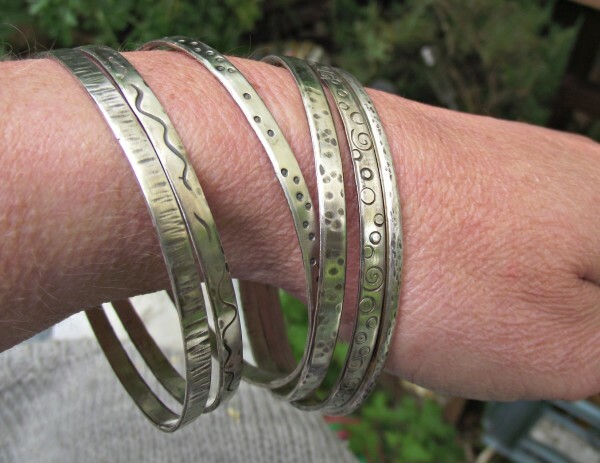 Your bangle will be delivered in your choice of a cotton drawstring bag or a recycled box. 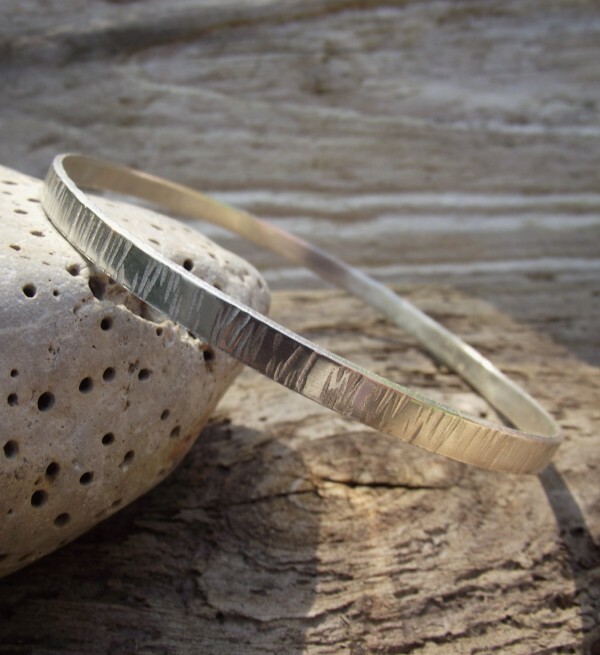 Your bangle will be hallmarked at the Edinburgh Assay Office. 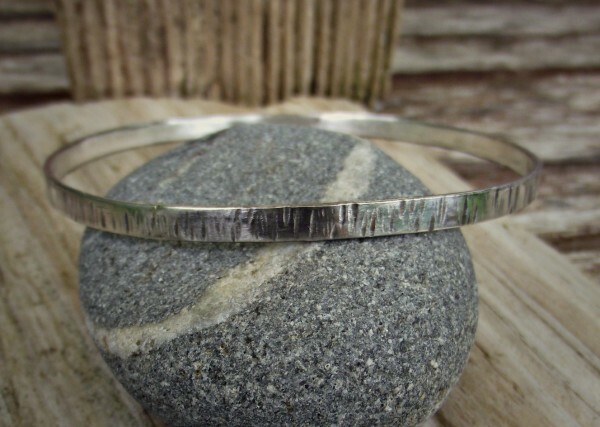 Please allow three to four weeks for me to make your bangle, send it to be hallmarked and then get it to the post office.